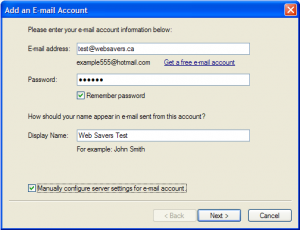 This guide will show you how to add your email address to Windows Live Mail. 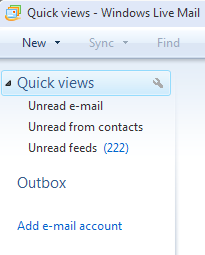 To start following along, simply launch Windows Live Mail. 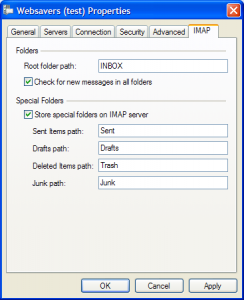 This is normally found under Start > All Programs > Windows Live > Windows Live Mail. 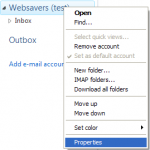 If this is the first account you will be adding to Outlook, then you will be presented with the Add an Email Account wizard automatically. 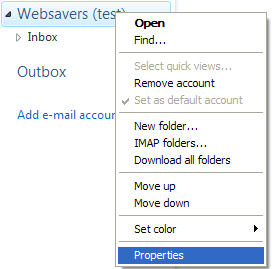 If you already have an account configured, click the “Add e-mail account” link in the left sidebar below all your existing folders. 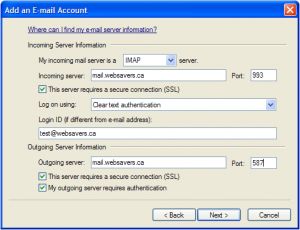 Provide your email address and password as you configured them in Plesk. 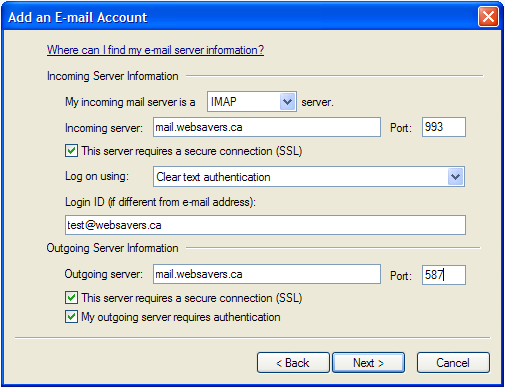 Check the “Manually configure server settings for e-mail account” box and click Next. 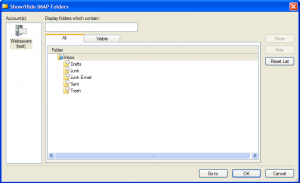 Use your server hostname for both Incoming and Outgoing servers. It should be something like thyme.websavers.ca or basil.websavers.ca. Login to our Client Centre with your Websavers account, and choose “Manage” beside your hosting plan to view your server name and hostname. Be sure Log on using “Clear text authentication” is selected. Your password will still be encrypted by the SSL connection specified above. Outgoing Port: 587 with both secure connection and authentication enabled. Be careful when you select SSL, the Port may change back to the default (25) — be sure to update this again to 587 before clicking Next otherwise outgoing email will not function. Click Next and you will be presented with an account set up success message. 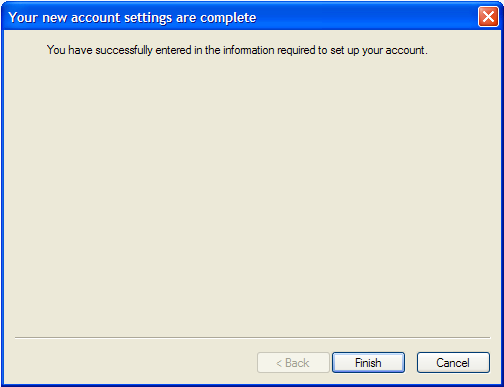 Simply click OK to proceed; there is nothing special required in this window. 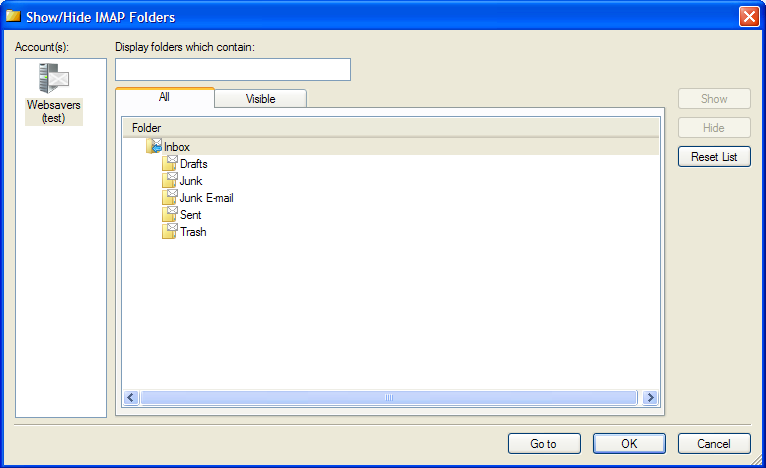 Look in the sidebar on the left and, on the title of the account you just created, right click and select Properties. 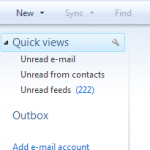 Click OK and Windows Live Mail will automatically update your account to reflect the changes! 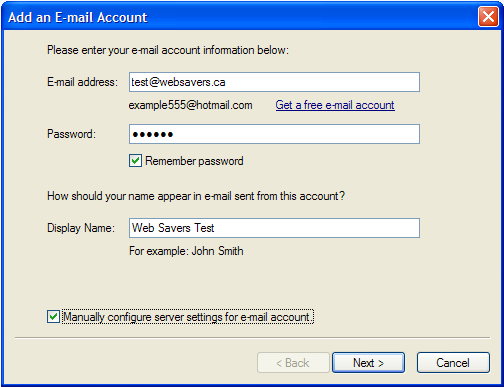 Send a test message to the account from an external email service (like Gmail) and reply to it to ensure the account is working as it should be.